Udaipur, India” is a 50 page full color book ($30) of photographs from India. 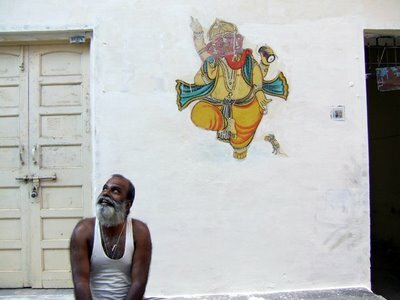 Photographed during October, 2008; the book documents the beauty and decay of murals painted throughout the amazing city of Udaipur. Christopher Bettig is a French artist based in Los Angeles. Check out his other works at his design studio The Mountain Label. See more mural images taken by Christopher here. 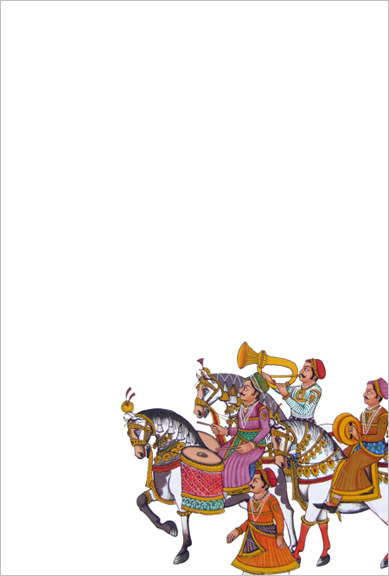 In the text books or travel notes one finds Udaipur described as lake city. It is! Some say it is city of palaces. It is! But it is also the city of murals/ street painting/wall painting!! For us Indians our rich cultural heritage is just everyday life! Nah? !